POINT ROBERTS, Wash. and DELTA, British Columbia, Feb. 07, 2019 (GLOBE NEWSWIRE) — Investorideas.com, a leading investor news resource covering hemp and cannabis stocks releases a snapshot looking at the rapid expansion plans coming to the market after strong Q1 Financials. Aurora Cannabis Inc. (TSX: ACB.TO) (NYSE: ACB) recently provided an expected revenue range for the second quarter of the Company’s Fiscal 2019; the period ended December 31, 2018, with the full results published on Monday, February 11, 2019 pre-market, followed by a conference call later that day. Based on preliminary results, the Company anticipates revenues for Q2 2019 of between $50 million and $55 million, compared to $11.7 million for the same quarter in the prior year, and compared to $29.7 million for the previous quarter ended September 30, 2018 (“Q1 2019”). The results reflect an anticipated revenue growth rate in excess of 327% compared to Q2 2018 and in excess of 68% compared to Q1 2019. Golden Developing Solutions, Inc. (OTC: DVLP), an emerging leader in the Cannabis, Hemp, and CBD marketplace, announced similar accelerating revenue growth for its “Where’s Weed” division, including quarterly year over year sales growth of 149% and total Q4 revenues in excess of $300K. Planet 13 Holdings Inc. (CSE: PLTH) (OTCQB: PLNHF), a leading vertically integrated Nevada cannabis company, announced increased sales in January, having served an average of 1,550 customers per day in January compared to an average of 1,430 per day in December, an 8.4% increase month over month. Aphria Inc. (TSX: APHA.TO) (NYSE: APHA) also reported its results for the second quarter ended November 30, 2018. “In our second quarter, Aphria continued strengthening its position as a premier supplier of medical and adult-use cannabis to the Canadian market, building long-term competitive advantage and developing key global opportunities,” said Mr. Neufeld. These strong early financials for 2019 having given the cannabis sector an added boost as each company expands to gain a stronger and larger footprint in the market. 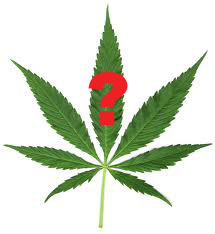 Where’s weed going? The financial answer seems to be: higher and higher.